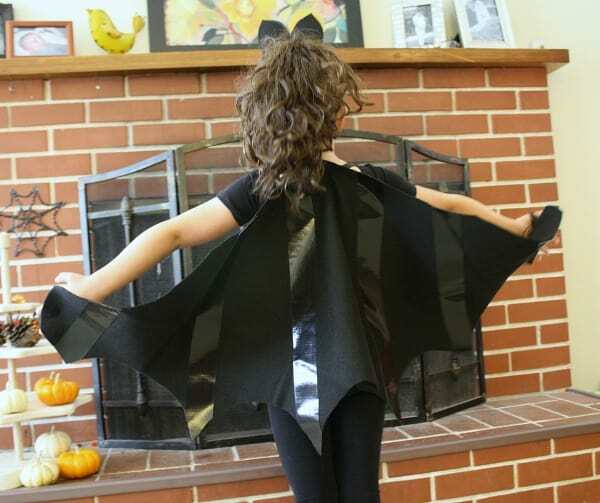 Here’s a simple DIY bat costume you can make from just a few materials. 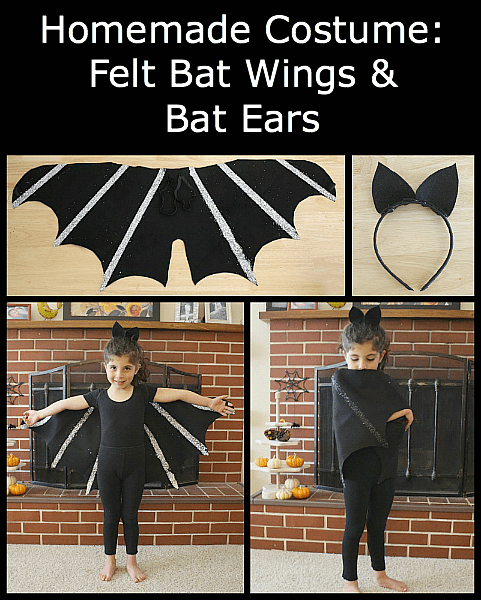 The felt bat wings and headband ears are a perfect Halloween costume or can be a fun prop for imaginative play! 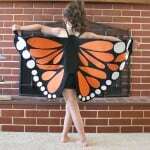 A few weeks ago I made some monarch butterfly wings from felt. 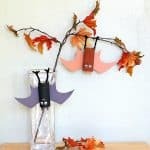 I had some black felt leftover and thought it would be fun to try to make some bat wings. 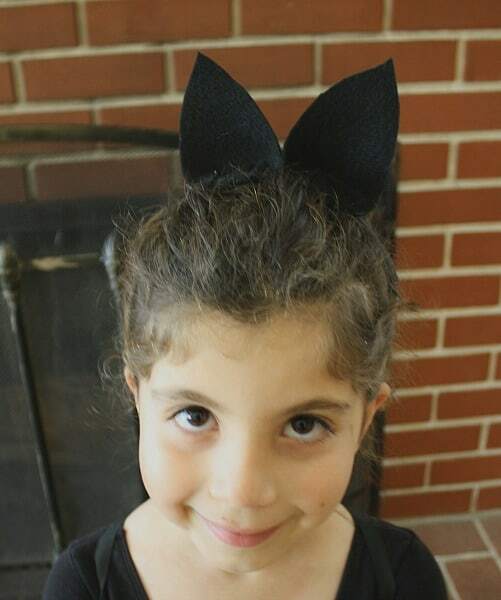 And to complete the bat costume, I felt we needed a cute bat ear headband. 3. 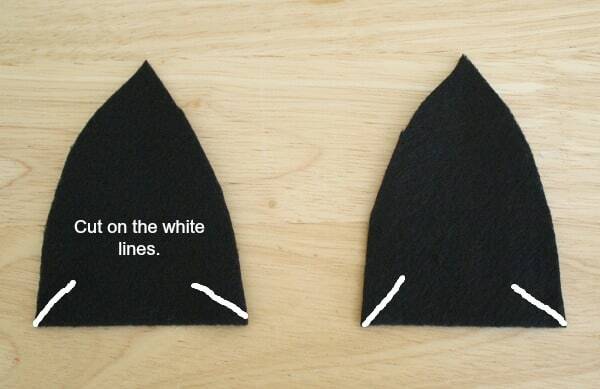 Cut the black felt around the template. 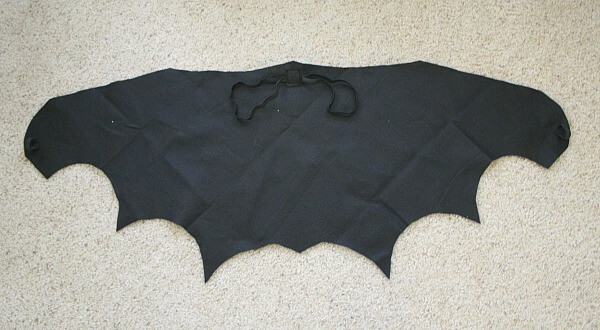 Unpin the cardboard and unfold the black felt to reveal your bat wings. 4. Now it’s time to sew on the elastic. We’ll be making two large loops in the center of the wings to place arms through and a small loop for the tip of each wing to place the thumbs through. 5. 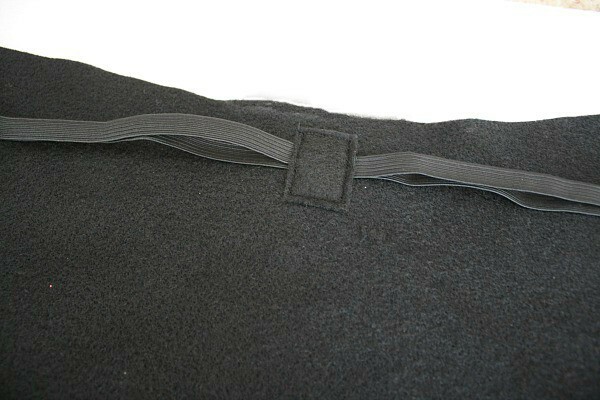 Take your two long pieces of black elastic (each 15 1/2 inches long) and fold them in half forming a loop with each one. 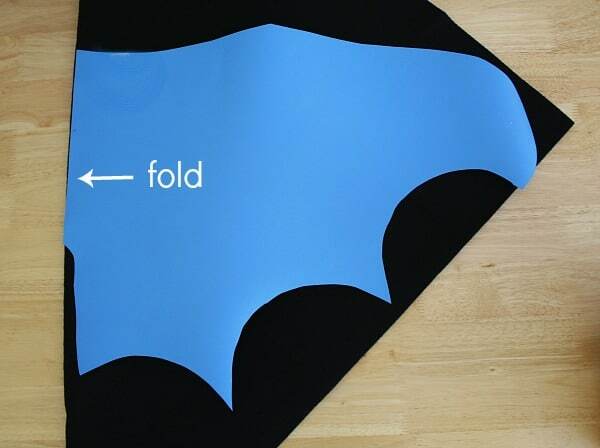 Pin them to the wings with the cut edges in the center top of the bat wings. (I’m using white elastic in the photo below so you can see it more clearly. 6. 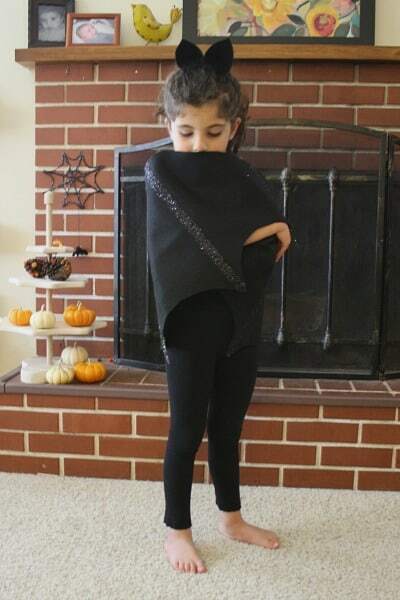 Cut out a small rectangle from your leftover black fabric. 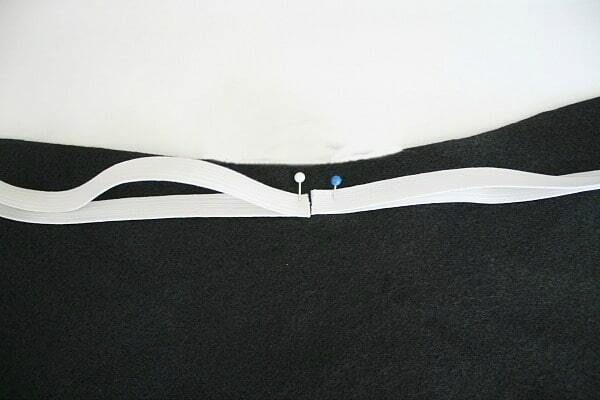 Place it on top of the elastic ends to cover them up. 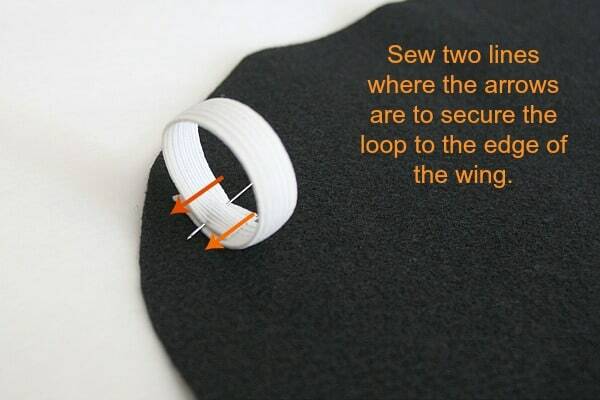 Sew around the entire rectangle, securing both elastic pieces in place. 7. Now that the arm loops are sewn in place, it’s time to attach the thumb loops. (Again, I’m using white elastic for you to see it more clearly. 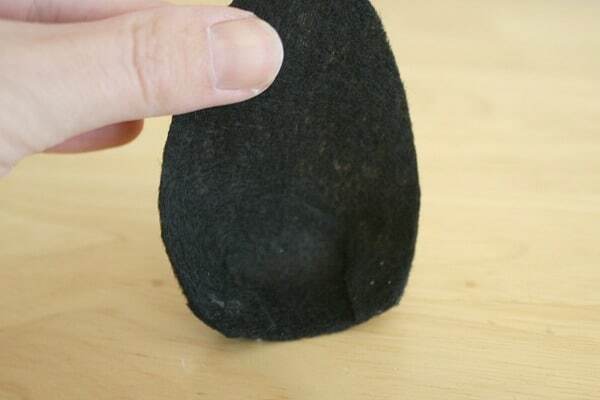 The actual wings use black elastic.) Take one of the 4 inch pieces of black elastic and form it into a loop. Pin it at the end of one wing. 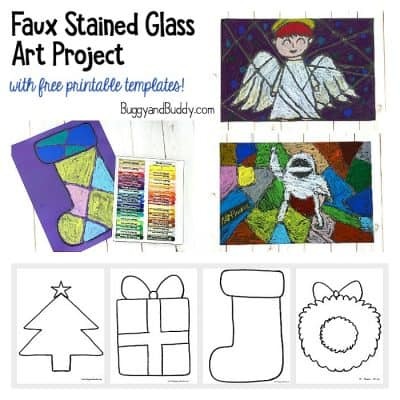 (You can hold the wings up to your child to estimate about where his/her thumb will be.) Pin the loop in place. Do this for the other loop on the remaining side. 8. Sew the loops in place. This is how the inside of the finished bat wings look. 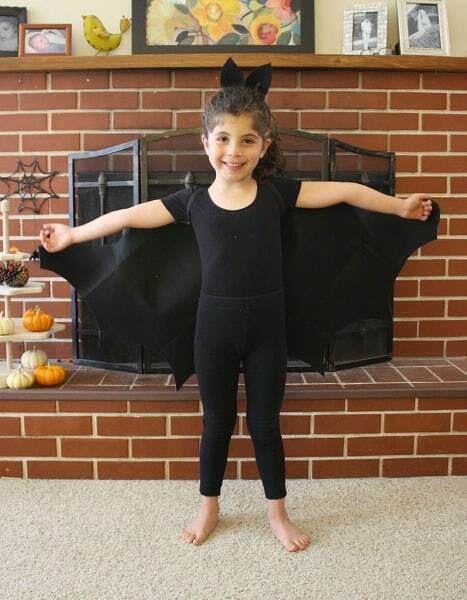 OPTION #1: Leave the bat wings plain (as they are now). – I’m thinking eventually the tape will start peeling off over time (although ours are still intact). If this happens, you could just peel it off and leave the bat wings plain. 1. Place strips of duck tape on the bat wings where you’d like the lines to be. 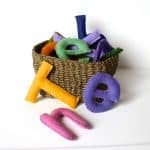 Make sure the strips of tape are hanging over the edges of the felt. 2. Once you’ve finished, trim off the tape that’s hanging over the edges. 3. Press the tape firmly into place. – Very cute and bold looking! 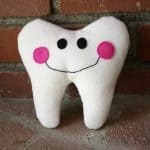 – Perfect if you’re planning on just wearing a few times (like for Halloween). – Glitter. 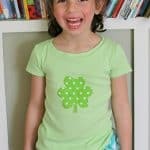 Glitter is sure to constantly fall off the wings as your child is wearing them. – I don’t think the glitter will outlast lots and lots of wear. 1. 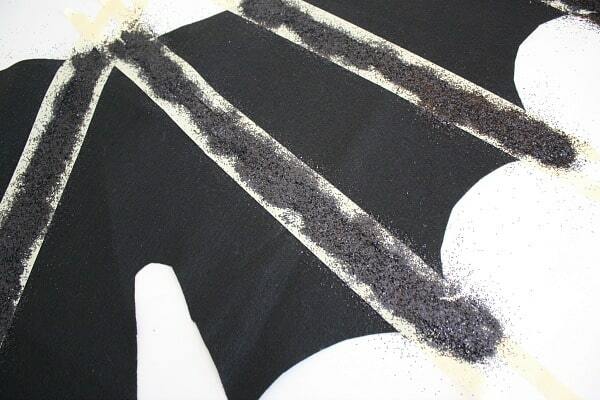 Use masking tape to outline the area where you’d like your glitter lines to be. Make sure to press the tape down firmly. 2. Spray the adhesive glue liberally between the taped lines. 3. Sprinkle your glitter liberally over the glue. 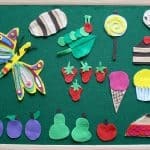 Use a small piece of paper to press down the glitter into the glue. 4. 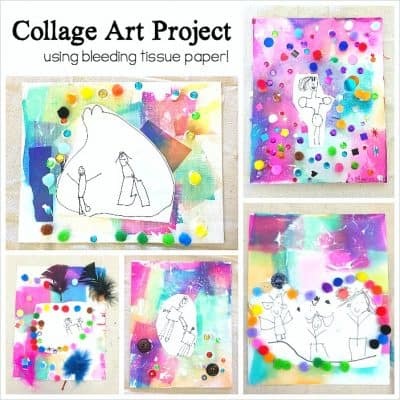 Carefully peel off the tape to reveal the lines of glitter. 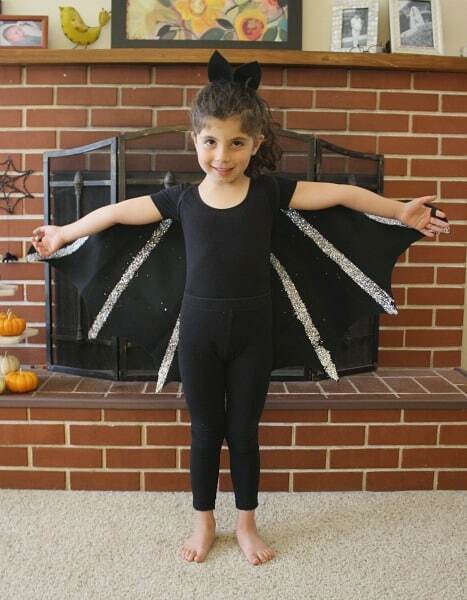 We made black glitter lines on the outside of the wings and silver on the inside. The silver definitely stands out more. If I were to make another pair, I’d probably only use silver glitter and only do the outside of the wings. The glitter on the inside has to withstand a lot of rubbing when being worn. 1. 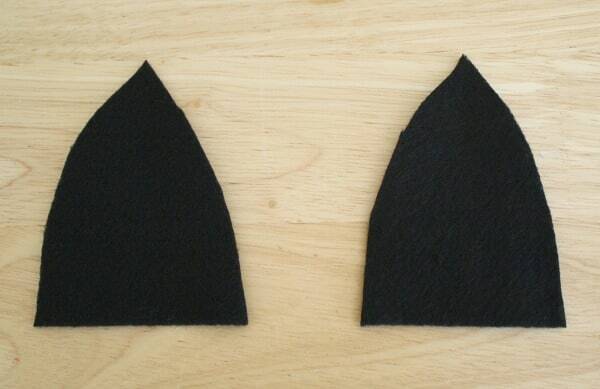 Cut out two bat ear shapes from your black felt scraps leftover from the wings. 3. 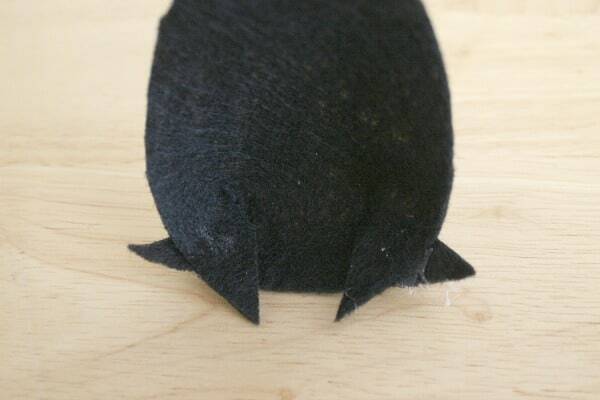 Fold the snipped edges over and glue in place to make the ears stand. 4. Trim off felt hanging over the edges. 5. 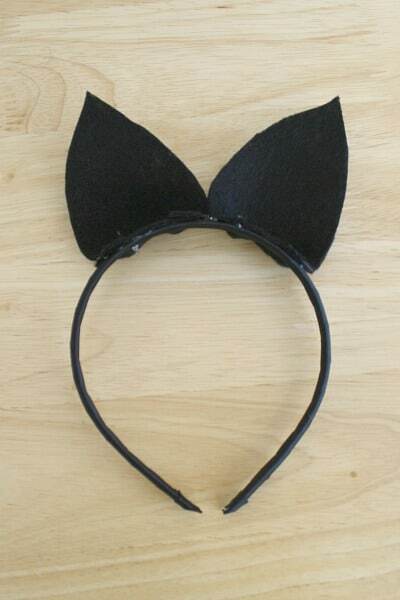 Glue ears onto the black headband. These wings and ears make a great bat costume. You can pair them with some black leggings or pants and a black top, and you’re ready to go! I LOVE LOVE LOVE all the variations! Fantastic job!! 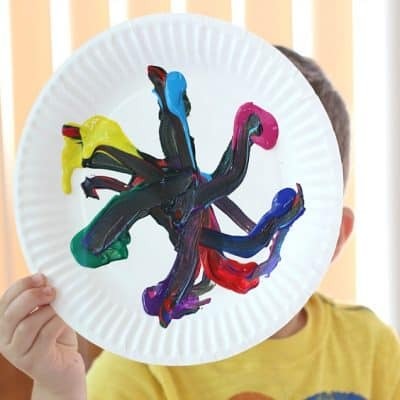 I’m sure you’ll inspire a lot of people to tackle this for an easy, last-minute costume. Thank you so much, Rachelle! 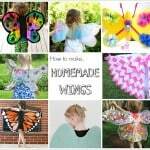 I actually enjoyed making them, and Lucy is loving them even more (although she’s partial to the glitter wings)! 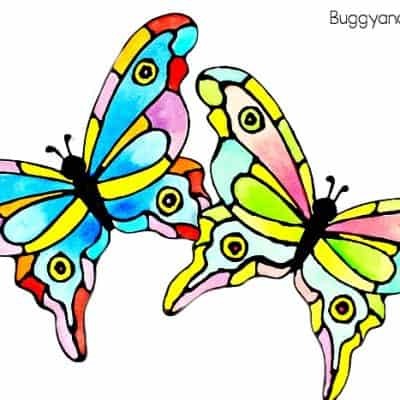 What cute wings! I love that you have several different variations! Wonderful! 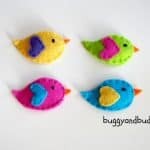 I love that you provided so many variations – they are all cute! 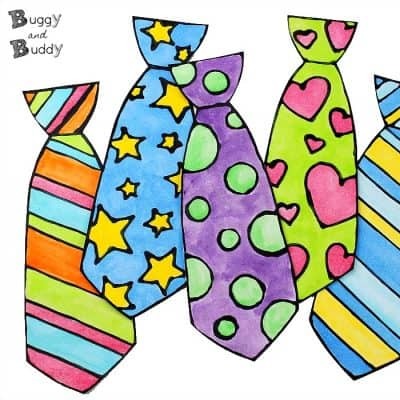 We have Halloween costumes chosen, but may make these for dress up! Great job! Looks like your daughter loves her costume! Found your post through Mom’s Library. These bat wings are fabulous. I’m pinning them on Pinterest. 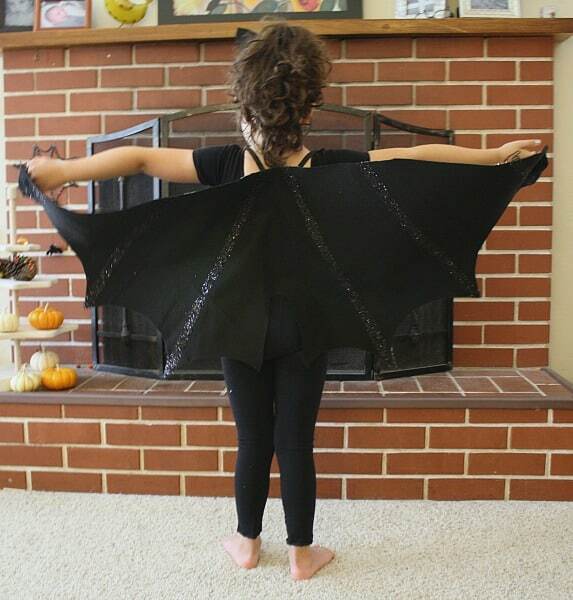 i am making a bat outfit for my grand daughter. The ideas here are great. Thanks for the tips. I am using wings I found at goodwill. I am making them to fit her (4 years old) and saw how to make the ears. So helpful.